The relative deficiencies of U.S. public schools are a serious concern to parents and policymakers. But they should be of concern to all Americans, as a globalizing world introduces new competition for talent, markets, capital, and opportunity. 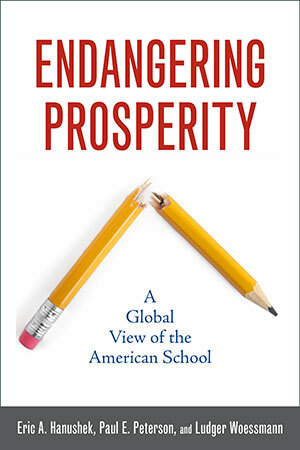 Endangering Prosperity compares the performance of American schools against that of other nations. The net result is a mixed but largely disappointing picture that clearly shows where improvement is most needed. The authors describe explicitly the economic costs of a stagnant educational system. The objective is not to explain the deep causes of past failures but to document how dramatically the U.S. school system has failed its students and its citizens. It is a wake-up call for structural reform. To move forward to a different and better future requires that we understand just how serious a situation America faces today.